In most soils, an increase in available N enhances nitrification and denitrification rates which then increase the production of N2O. Increases in available N can occur through human-induced N additions or change of land-use and/or management practices that mineralise soil organic N.
• drainage/management of organic soils (i.e., Histosols) 4 (FOS). 2 Biological nitrogen fixation has been removed as a direct source of N2O because of the lack of evidence of significant emissions arising from the fixation process itself (Rochette and Janzen, 2005). These authors concluded that the N2O emissions induced by the growth of legume crops/forages may be estimated solely as a function of the above-ground and below-ground nitrogen inputs from crop/forage residue (the nitrogen residue from forages is only accounted for during pasture renewal). Conversely, the release of N by mineralisation of soil organic matter as a result of change of land use or management is now included as an additional source. These are significant adjustments to the methodology previously described in the 1996 IPCC Guidelines. 3 The nitrogen residue from perennial forage crops is only accounted for during periodic pasture renewal, i.e. not necessarily on an annual basis as is the case with annual crops. 4 Soils are organic if they satisfy the requirements 1 and 2, or 1 and 3 below (FAO, 1998): 1. Thickness of 10 cm or more. A horizon less than 20 cm thick must have 12 percent or more organic carbon when mixed to a depth of 20 cm; 2. If the soil is never saturated with water for more than a few days, and contains more than 20 percent (by weight) organic carbon (about 35 percent organic matter); 3. If the soil is subject to water saturation episodes and has either: (i) at least 12 percent (by weight) organic carbon (about 20 percent organic matter) if it has no clay; or (ii) at least 18 percent (by weight) organic carbon (about 30 percent organic matter) if it has 60 percent or more clay; or (iii) an intermediate, proportional amount of organic carbon for intermediate amounts of clay (FAO, 1998). 5 When the total annual quantity of N applied to flooded paddy rice is known, this N input may be multiplied by a lower default emission factor applicable to this crop, EF1fr (Table 11.1) (Akiyama et al., 2005) or, where a country-specific emission factor has been determined, by that factor instead. Although there is some evidence that intermittent flooding (as described in Chapter 5.5) can increase N2O emissions, current scientific data indicate that EF1Fr also applies to intermittent flooding situations. Note: Sources of N applied to, or deposited on, soils are represented with arrows on the left-hand side of the graphic. 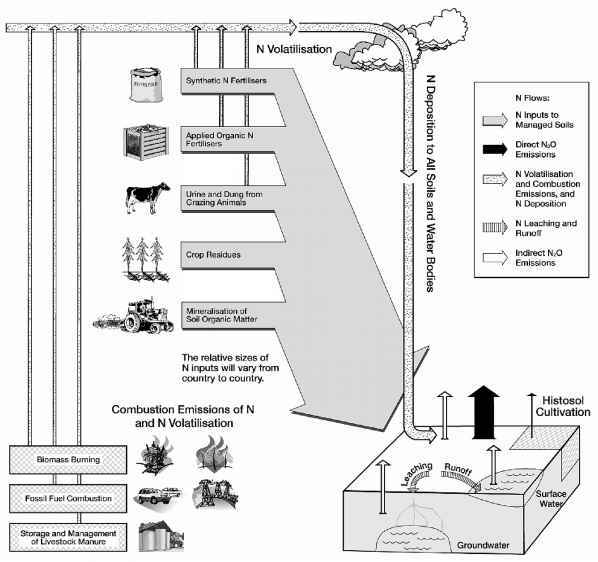 Emission pathways are also shown with arrows including the various pathways of volatilisation of NH3 and NOx from agricultural and non-agricultural sources, deposition of these gases and their products NH4+ and NO3-, and consequent indirect emissions of N2O are also illustrated. 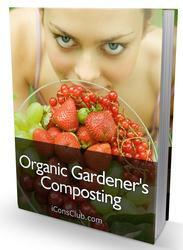 "Applied Organic N Fertilisers" include animal manure, all compost, sewage sludge, tankage, etc. "Crop Residues" include above- and below-ground residues for all crops (non-N and N fixing) and from perennial forage crops and pastures following renewal. On the lower right-hand side is a cut-away view of a representative sections of managed land; Histosol cultivation is represented here. Estimate emissions using Tier 2 equation and available country-specific emission factors, or Tier 3 methods. Estimate emissions using the Tier 1 default emission factor value and country-specific activity data. 1: N sources include: synthetic N fertiliser, organic N additions, urine and dung deposited during grazing, crop/forage residue, mineralisation of N contained in soil organic matter that accompanies C loss from soils following a change in land use or management and drainage/management of organic soils. Other organic N additions (e.g., compost, sewage sludge, rendering waste) can be included in this calculation if sufficient information is available. The waste input is measured in units of N and added as an additional source sub-term under FON in Equation 11.1 to be multiplied by EF1. 2: See Volume 1 Chapter 4, "Methodological Choice and Identification of Key Categories" (noting Section 4.1.2 on limited resources), for discussion of key categories and use of decision trees. 3: As a rule of thumb, a sub-category would be significant if it accounts for 25-30% of emissions from the source category. EF1i = emission factors developed for N2O emissions from synthetic fertiliser and organic N application under conditions i (kg N2O-N (kg N input)-1); i = 1, .. .n. Equation 11.2 may be modified in a variety of ways to accommodate any combination of N source-, crop type-, management-, land use-, climate-, soil- or other condition-specific emission factors that a country may be able to obtain for each of the individual N input variables (FSN, FON, FCR, Fsom, F0s, Fprp). Tier 3 methods are modelling or measurement approaches. Models are useful because in appropriate forms they can relate the soil and environmental variables responsible for N2O emissions to the size of those emissions. These relationships may then be used to predict emissions from whole countries or regions for which experimental measurements are impracticable. Models should only be used after validation by representative experimental measurements. Care should also be taken to ensure that the emission estimates developed through the use of models or measurements account for all anthropogenic N2O emissions.7 Guidance that provides a sound scientific basis for the development of a Tier 3 Model-based Accounting System is given in Chapter 2, Section 2.5. Three emission factors (EF) are needed to estimate direct N2O emissions from managed soils. The default values presented here may be used in the Tier 1 equation or in the Tier 2 equation in combination with country-specific emission factors. The first EF (EF1) refers to the amount of N2O emitted from the various synthetic and organic N applications to soils, including crop residue and mineralisation of soil organic carbon in mineral soils due to land-use change or management. The second EF (EF2) refers to the amount of N2O emitted from an area of drained/managed organic soils, and the third EF (EF3PRP) estimates the amount of N2O emitted from urine and dung N deposited by grazing animals on pasture, range and paddock. Default emission factors for the Tier 1 method are summarised in Table 11.1. It is important to note that Equation 11.2 is just one of many possible modifications to Equation 11.1 when using the Tier 2 method. The eventual form of Equation 11.2 will depend upon the availability of condition-specific emission factors and the ability to which a country can disaggregate its activity data. Natural N2O emissions on managed land are assumed to be equal to emissions on unmanaged land. These latter emissions are very low. Therefore, nearly all emissions on managed land are considered anthropogenic. Estimates using the IPCC methodology are of the same magnitude as total measured emissions from managed land. The so-called 'background' emissions estimated by Bouwman (1996) (i.e., approx. 1 kg N2O-N/ha/yr under zero fertiliser N addition) are not "natural" emissions but are mostly due to contributions of N from crop residue. These emissions are anthropogenic and accounted for in the IPCC methodology. In the light of new evidence, the default value for EFi has been set at 1% of the N applied to soils or released through activities that result in mineralisation of organic matter in mineral soils 8. In many cases, this factor will be adequate, however, there are recent data to suggest that this emission factor could be disaggregated based on (1) environmental factors (climate, soil organic C content, soil texture, drainage and soil pH); and (2) management-related factors (N application rate per fertiliser type, type of crop, with differences between legumes, non-leguminous arable crops, and grass) (Bouwman et al, 2002; Stehfest and Bouwman, 2006). Countries that are able to disaggregate their activity data from all or some of these factors may choose to use disaggregated emission factors with the Tier 2 approach. EF1: Bouwman et al. 2002a,b; Stehfest & Bouwman, 2006; Novoa & Tejeda, 2006 in press; EF1FR: Akiyama et al., 2005; EF2CG, Temp, EF2CG, Trop, EF2F,Trop: Klemedtsson et al., 1999, IPCC Good Practice Guidance, 2000; EF2F,Temp: Alm et al., 1999; Laine et al, 1996; Martikainen et al., 1995; Minkkinen et al., 2002: Regina et al., 1996; Klemedtsson et al., 2002; EF3, CPP, EF3, SO: de Klein, 2004. The default value for EF2 is 8 kg N2O-N ha-1 yr-1 for temperate climates. Because mineralisation rates are assumed to be about 2 times greater in tropical climates than in temperate climates, the emission factor EF2 is 16 kg N2O-N ha-1 yr-1 for tropical climates 9. Climate definitions are given in Chapter 3, Annex 3A.5. The default value for EF3PRP is 2% of the N deposited by all animal types except 'sheep' and 'other' animals. For these latter species, a default emission factor of 1% of the N deposited may be used 10. 8 The value of EFi has been changed from 1.25% to 1%, as compared to the 1996 IPCC Guidelines, as a result of new analyses of the available experimental data (Bouwman et al., 2002a,b; Stehfest and Bouwman, 2006; Novoa and Tejeda, 2006 in press). These analyses draw on a much larger number of measurements than were available for the earlier study that gave rise to the previous value used for EF1 (Bouwman, 1996). The mean value for fertiliser- and manure-induced emissions calculated in these reviews is close to 0.9%; however, it is considered that, given the uncertainties associated with this value and the inclusion in the inventory calculation of other contributions to the nitrogen additions (e.g., from crop residues and the mineralisation of soil organic matter), the round value of 1% is appropriate. 9 The values of EF2, for both temperate and tropical climates, have been changed from the values provided in the 1996 IPCC Guidelines to those contained in the GPG2000. 10 The addition of a default emission factor for sheep is a change from the 1996 IPCC Guidelines. The default emission factor value for EF3PRP has been disaggregated for different animal types based on a recent review on N2O emissions from urine and dung depositions (de Klein, 2004). This review indicated that the emission factor for sheep is lower than that for cattle and that a value of 1% of the nitrogen deposited is more appropriate. Reasons for the lower EF3PRP for sheep include more even urine distribution (smaller and more frequent urinations), and smaller effects on soil compaction during grazing. This section describes generic methods for estimating the amount of various N inputs to soils (FSN, FON, FPRP, FCR, Fsom, Fos) that are needed for the Tier 1 and Tier 2 methodologies (Equations 11.1 and 11.2). The term FSN refers to the annual amount of synthetic N fertiliser applied to soils u. It is estimated from the total amount of synthetic fertiliser consumed annually. Annual fertiliser consumption data may be collected from official country statistics, often recorded as fertiliser sales and/or as domestic production and imports. If country-specific data are not available, data from the International Fertilizer Industry Association (IFIA) (http://www.fertilizer.org/ifa/statistics.asp) on total fertiliser use by type and by crop, or from the Food and Agriculture Organisation of the United Nations (FAO): (http://faostat.fao.org/) on synthetic fertiliser consumption, can be used. It may be useful to compare national statistics to international databases such as those of the IFIA and FAO. If sufficient data are available, fertiliser use may be disaggregated by fertiliser type, crop type and climatic regime for major crops. These data may be useful in developing revised emission estimates if inventory methods are improved in the future. It should be noted that most data sources (including FAO) might limit reporting to agricultural N uses, although applications may also occur on Forest Land, Settlements, or other lands. This unaccounted N is likely to account for a small proportion of the overall emissions. However, it is recommended that countries seek out this additional information whenever possible. There are no or very limited data for N2O emission factors of other animal types, and the emission factor for poultry and swine remains at 2% of nitrogen deposited. However, a value of 1% of the nitrogen deposited may be used for animals classified as 'other animals' which includes goats, horses, mules, donkeys, camels, reindeer, and camelids, as these are likely to have nitrogen excretion rates and patterns that are more similar to sheep than to cattle. The review further suggested that a disaggregation of EF3PRP for dung vs. urine nitrogen could also be considered. However, this is difficult to implement as it is unlikely that countries have the required information readily available to assess excretion rates in urine and dung. However, this approach may be considered by countries that use a higher tier methodology. Finally, the review revealed that current information is insufficient or inconclusive to allow for disaggregation of EF3PRP based on climate region, soil type or drainage class, and/or grazing intensity. 11 For the Tier 1 approach, the amounts of applied mineral nitrogen fertilisers (FSN) and of applied organic nitrogen fertilisers (FON) are no longer adjusted for the amounts of NH3 and NOx volatilisation after application to soil. This is a change from the methodology described in the 1996 IPCC Guidelines. The reason for this change is that field studies that have determined N2O emission factors for applied N were not adjusted for volatilisation when they were estimated. In other words, these emission factors were determined from: fertiliser-induced N2O-N emitted / total amount of N applied, and not from: fertiliser-induced N2O-N emitted / (total amount of N applied - NH3 and NOx volatilised). As a result, adjusting the amount of N input for volatilisation before multiplying it with the emission factor would in fact underestimate total N2O emissions. Countries using Tier 2 or Tier 3 approaches should be aware that correction for NH3/NOx volatilisation after mineral or organic N application to soil may be required depending on the emission factor and/or the inventory methodology used. The term FAM is determined by adjusting the amount of manure N available (NMMs_Avb; see Equation 10.34 in Chapter 10) for the amount of managed manure used for feed (FracFEED), burned for fuel (FracFUEL), or used for construction (FracCNST) as shown in Equation 11.4. Data for FracFUEL, FracFEED, FracCNST can be obtained from official statistics or a survey of experts. However, if these data are not available use Nmms Avb as Fam without adjusting for FracFUEL, FracFEED, FracCNST. The term FPRP refers to the annual amount of N deposited on pasture, range and paddock soils by grazing animals. It is important to note that the N from managed animal manure applied to soils is included in the FAM term of FON. The term FPRP is estimated using Equation 11.5 from the number of animals in each livestock species/category T (N(T)), the annual average amount of N excreted by each livestock species/category T (Nexm), and the fraction of this N deposited on pasture, range and paddock soils by each livestock species/category T (MS(T PRP)). The data needed for this equation can be obtained from the livestock chapter (see Chapter 10, Section 10.5). 12 In the livestock section, pasture, range and paddock is referred to as one of the manure management systems denoted as "S". 13 The equation to estimate FCR has been modified from the previous 1996IPCC Guidelines to account for the contribution of the below-ground nitrogen to the total input of nitrogen from crop residues, which previously was ignored in the estimate of FCR. As a result, FCR now represents a more accurate estimate of the amount of nitrogen input from crop residue, which during forage or pasture renewal 14. It is estimated from crop yield statistics and default factors for above-/below-ground residue:yield ratios and residue N contents. In addition, the method accounts for the effect of residue burning or other removal of residues (direct emissions of N2O from residue burning are addressed under Chapter 2, Section 2.4. Because different crop types vary in residue:yield ratios, renewal time and N contents, separate calculations should be performed for major crop types and then N values from all crop types are summed up. At a minimum, it is recommended that crops be segregated into: 1) non-N-fixing grain crops (e.g., maize, rice, wheat, barley); 2) N-fixing grains and pulses (e.g., soybean, dry beans, chickpea, lentils); 3) root and tuber crops (e.g., potato, sweet potato, cassava); 4) N-fixing forage crops (alfalfa, clover); and 5) other forages including perennial grasses and grass/clover pastures. Equation 11.6 provides the equation to estimate N from crop residues and forage/pasture renewal, for a Tier 1 approach. FracRemove(T) = fraction of above-ground residues of crop T removed annually for purposes such as feed, bedding and construction, kg N (kg crop-N)-1. Survey of experts in country is required to obtain data. If data for FracRemove are not available, assume no removal. RBG(T = ratio of below-ground residues to harvested yield for crop T, kg d.m. (kg d.m.)-1. If alternative data are not available, RBG(t may be calculated by multiplying RBG-BIO in Table 11.2 by the ratio of total above-ground biomass to crop yield ( = [(AGDM(T) • 1000 + Crop^) / Crop(T)], (also calculating AGDM(T) from the information in Table 11.2). Data on crop yield statistics (yields and area harvested, by crop) may be obtained from national sources. If such data are not available, FAO publishes data on crop production: (http://faostat.fao.org/). Since yield statistics for many crops are reported as field-dry or fresh weight, a correction factor can be applied to estimate dry matter yields (Crop(T)) where appropriate (Equation 11.7). The proper correction to be used is dependent on the standards used in yield reporting, which may vary between countries. Alternatively, the default values for dry matter content given in Table 11.2 may be used. makes it possible to assess the contribution to residue nitrogen arising from the growth of forage legumes such as alfalfa, where the harvesting of virtually all the above-ground dry matter results in no significant residue except the root system. 14 The inclusion of nitrogen from forage or pasture renewal is a change from previous 1996IPCC Guidelines. 15 This term is included in the equation to account for N release and the subsequent increases in N2O emissions (e.g., van der Weerden et al., 1999; Davies et al., 2001), from renewal/cultivation of grazed grass or grass/clover pasture and other forage crops. 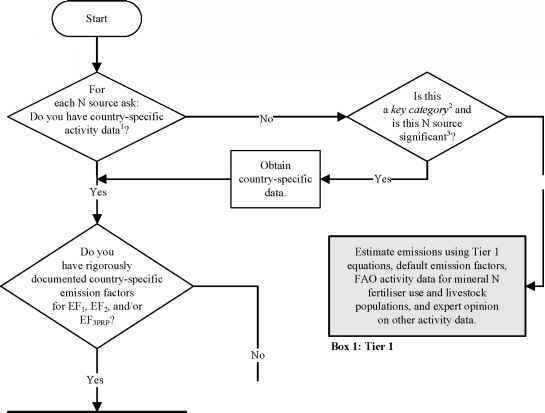 An improvement on this approach for determining FCR (i.e., Tier 2) would be the use of country-specific data rather than the values provided in Table 11.2, as well as country-specific values for the fraction of above-ground residue burned. Step 1: Calculate the average annual loss of soil C (ACMinerai, LU) for the area, over the inventory period, using Equation 2.25 in Chapter 2. Using the Tier 1 approach, the value for ACMineral, LU will have a single value for all land-uses and management systems. Using Tier 2, the value for ACMineral, LU will be disaggregated by individual land-use and/or management systems. 16 The inclusion of the term FSOM is a change from the previous 1996 IPCC Guidelines, which did not include the N from mineralisation associated with a loss of soil organic C.
ACMmeral, LU = average annual loss of soil carbon for each land-use type (LU ), tonnes C (Note: for Tier 1, lu will have a single value for all land-uses and management systems. Using Tier 2 the value for ACmineral. lu will be disaggregated by individual land-use and/or management systems. R = C:N ratio of the soil organic matter. A default value of 15 (uncertainty range from 10 to 30) for the C:N ratio (R) may be used for situations involving land-use change from Forest Land or Grassland to Cropland, in the absence of more specific data for the area. A default value of 10 (range from 8 to 15) may be used for situations involving management changes on Cropland Remaining Cropland. C:N ratio can change over time, land use, or management practice 17. If countries can document changes in C:N ratio, then different values can be used over the time series, land use, or management practice. Step 3: For Tier 1, the value for FSOM is calculated in a single step. For Tier 2, FSOM is calculated by summing across all land-uses and/or management system types (LU). Countries that are not able to estimate gross changes of mineral soil C will create a bias in the N2O estimate, and it is good practice to acknowledge this limitation in the reporting documentation. It is also good practice to use specific data for the C:N ratios for the disaggregated land areas, if these are available, in conjunction with the data for carbon changes. The term FOS refers to the total annual area (ha) of drained/managed organic soils (see footnote 4 for definition). This definition is applicable for both the Tier 1 and Tier 2 methods. For all land uses, the areas should be stratified by climate zone (temperate and tropical). In addition, for temperate Forest Land the areas should be further stratified by soil fertility (nutrient rich and nutrient poor). The area of drained/managed organic soils (FOS) may be collected from official national statistics. Alternatively, total areas of organic soils from each country are available from FAO (http://faostat.fao.org/), and expert advice may be used to estimate areas that are drained/managed. For Forest Land, national data will be available at soil survey organisations and from wetland surveys, e.g., for international conventions. In case no stratification by soil fertility is possible, countries may rely on expert judgment. Uncertainties in estimates of direct N2O emissions from managed soils are caused by uncertainties related to the emission factors (see Table 11.1 for uncertainty ranges), natural variability, partitioning fractions, activity data, lack of coverage of measurements, spatial aggregation, and lack of information on specific on-farm practices. Additional uncertainty will be introduced in an inventory when emission measurements that are not representative of all conditions in a country are used. In general, the reliability of activity data will be higher than that of the emission factors. As an example, further uncertainties may be caused by missing information on observance of laws and regulations related to handling and application of fertiliser and manure, and changing management practices in farming. Generally, it is difficult to obtain information on the actual observance of laws and possible emission reductions achieved as well as information on farming practices. For more detailed guidance on uncertainty assessment refer to Volume 1, Chapter 3. 17 Information on C:N ratios in forest and cropped soils may be found in the following references: Aitkenhead-Peterson et al., 2005; Garten et al., 2000; John et al., 2005; Lobe et al., 2001; Snowdon et al., 2005, and other references cited by these authors. a Source: Literature review by Stephen A. Williams, Natural Resource Ecology Laboratory, Colorado State University. (Email: [email protected]) for CASMGS (http://www.casmgs.colostate.edu/). A list of the original references is given in Annex 11A.1. b The average above-ground residue:grain ratio from all data used was 2.0 and included data for soya bean, dry bean, lentil, cowpea, black gram, and pea. e No data for rye. Slope and intercept values are those for all grain. Default s.d. f The average above-ground residue:grain ratio from all data used was 1.9. 8 Ortega, 1988 (see Annex 11A.1). 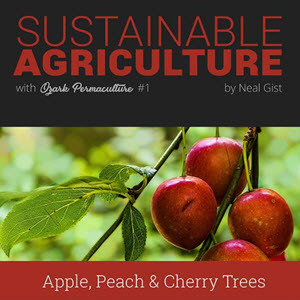 The average above-ground residue:grain ratio from this single source was 1.6. default s.d. for root:AGB. h The mean value for above-ground residue:tuber ratio in the sources used was 0.27 with a standard error of 0.04. 1 The mean value for above-ground residue: pod yield in the sources used was 1.80 with a standard error of 0.10. 1 Single source. Default s.d. for root:AGB. k This is the average above-ground biomass reported as litter or harvest losses. This does not include reported stubble, which averaged 0.165 x Reported Yields. Default s.d.
' Estimate of root turnover to above-ground production based on the assumption that in natural grass systems below-ground biomass is approximately equal to twice (one to three times) the above-ground biomass and that root turnover in these systems averages about 40% (30% to 50%) per year. Default s.d. (unmarketable yield = 0.08 * marketable yield = 0.29 * above-ground biomass) suggest that the total residues returned might then be on the order of 0.49 * above-ground biomass. Default s.d. n This is an estimate of root turnover in perennial systems. Default s.d. p It is assumed here that grass dominates the system by 2 to 1 over legumes.